The Senatobia Industrial Park is a publicly-owned industrial park strategically located at I-55 Exit 263, a modern interchange designed for extensive truck traffic. The Park, along with other privately owned industrial property in Tate County are located 30 minutes from the Memphis International Airport, and the FedEx Global Hub; 15 minutes from the I-69/I-269 Interchange and about 20 minutes from the I-40/I-240/I-55 intersection that provides easy transportation in all directions. 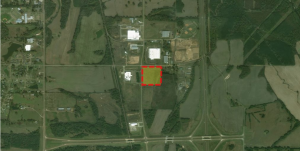 The Senatobia Industrial Park has rail access via Grenada Railway, and is located in a Foreign Trade Zone (FTZ 158). Electricity is provided by Entergy, with Gas, Water, and Sewerage provided by the City of Senatobia. Fiber access is available in the park from AT&T, Comcast, and Cspire. 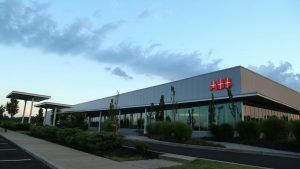 ABB, Calbee Foods and PK-USA, all prominent international companies, are located in the park in addition to Carlisle SynTech, and several other local industrial and distribution companies. Additionally, the Industrial Park is only 5 minutes from Northwest Mississippi Community College, with its world class industrial and technical training facility. The University of Mississippi, which houses the award winning Haley Barbour Center for Manufacturing Excellence, is only 35 minutes away.